A parfait is a layered dessert often made with ice cream and fruit. It makes a delicious treat and can be super healthy if made with wholesome ingredients. 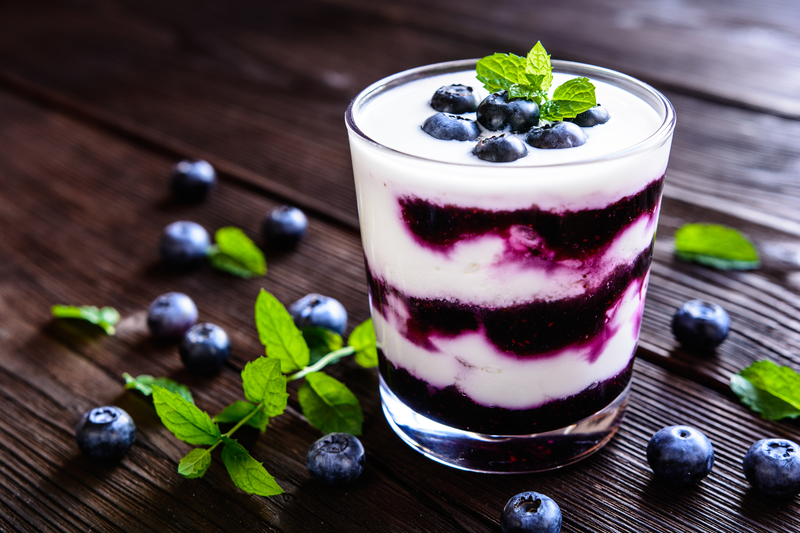 The first step to making a probiotic-rich parfait is selecting a good quality yogurt. Many yogurts at your local grocery store do not contain any live probiotics and can be packed with sugar! When shopping for a yogurt first check the label to make sure there is no added sugar and no chemical “zero calorie” sweeteners. Second, check the label to make sure the yogurt contains “live active cultures” (aka live probiotics). If you have trouble digesting dairy products opt for a dairy-free yogurt. You can find delicious coconut or almond milk yogurts at specialty grocery stores like Wholefoods, Mother’s Market, or Sprouts. This recipe is my personal favorite, but feel free to mix and match the toppings to get your preferred flavor combination! Measure 1 cup of yogurt into a bowl, and gently mix in one entire Pro-Biotics Plus® Stick Pack. (You just added a whopping 40 billion CFU’s to your parfait!) Once combined, add a spoonful of the yogurt mixture into your parfait glass, then sprinkle on some granola, add some blueberries, and drizzle honey over the top. Repeat this layer 3-4 times to make a gorgeous parfait! Top with the mint leaves for garnish and serve with a spoon.